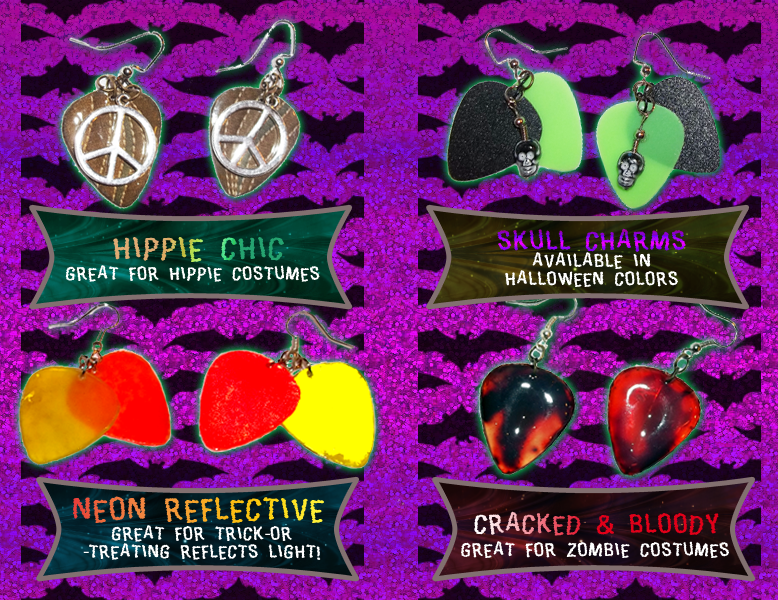 Rock Resurrection Art : Earrings to go with your Halloween costume! 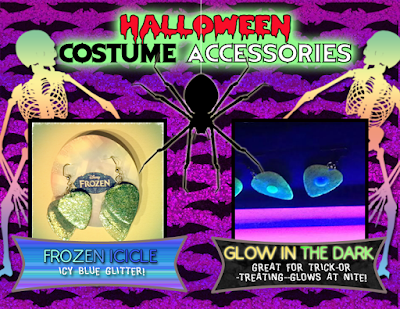 Earrings to go with your Halloween costume! Have you got your Halloween costume yet? Have you got all the right accents for it? 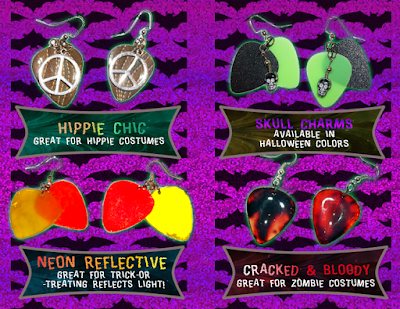 Check out these sets of earrings just in time for Halloween! Hippie Chic - Great for any sort of flower child inspired Halloween costumes. Or every day Hippies. YIELD - Made of Orange & Yellow reflective material. Ideal for walking the streets on All Hallow's Eve...you will shine in the head lights of oncoming cars. Cracked & Bloody - These clear cracked and bloodied guitar pick earrings are perfect for Zombie costumes and anything "scary." 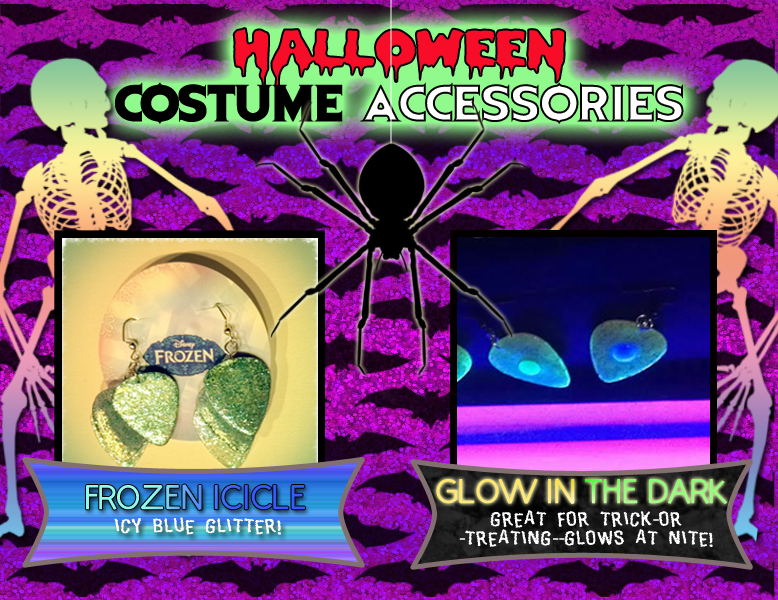 • Glow in the dark with green/blue gems. • Glow in the dark with yellow/purple gems.